Pvt. 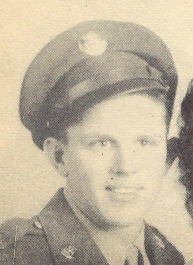 Jack A. Peters, son of Mr. and Mrs. W. A. Peters, graduated from Wilson High School and attended Hills Bus. College; husband of the former Jarvis Jean Bolin. Entered Army in 1945, trained in Camp Robinson, Ark. ; went overseas in Nov., 1945.